20 oz of fruity and brightly colored gumballs. Flavors such as: White (Fruit), Pink (Cherry), Yellow (Banana), Pearling Grape (Grape), Orange (Orange), Blue (Blueberry), Green (Lime), Red (Cherry). 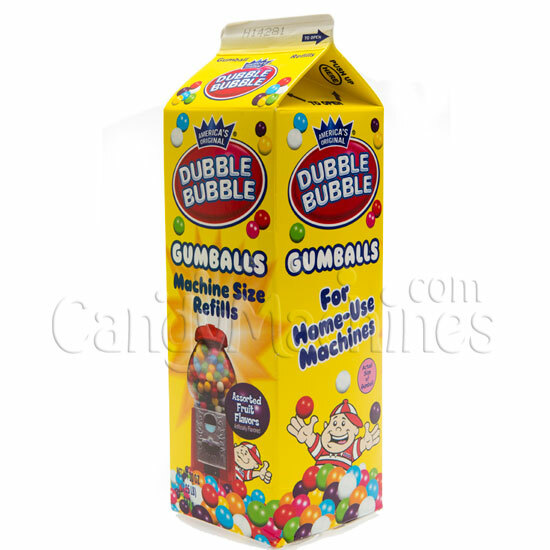 The 1/2 inch size of the gumballs is perfect for refilling your Gumball Machines /Banks and Gumball Dispensers. Packaged in a 20 oz carton for you convenience, making them perfect for keeping around your home, office, or even classroom to treat yourself anytime. Available for purchase as a case as well. See options for details.